This book is the first comprehensive volume on nonlinear dynamics and chaos in optical systems. A few books have been published recently, but they summarize applied mathematical methodologies toward understanding of nonlinear dynamics in laser systems with small degrees of freedom focusing on linearized perturbation and bifurcation analyses. In contrast to these publications, this book summarizes nonlinear dynamic problems in optical complex systems possessing large degrees of freedom, systematically featuring our original experimental results and their theoretical treatments. The new concepts introduced in this book will have a wide appeal to audiences involved in a rapidly-growing field of nonlinear dynamics. 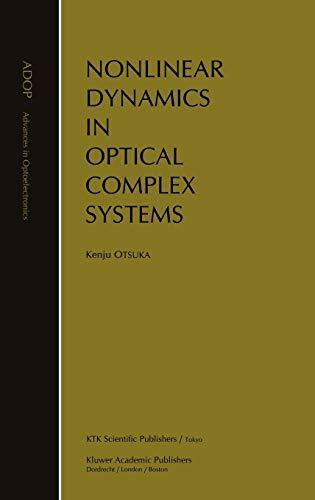 This book focuses on nonlinear dynamics and cooperative functions in realistic optical complex systems, such as multimode lasers, laser array, coupled nonlinear-element systems, and their applications to optical processing. 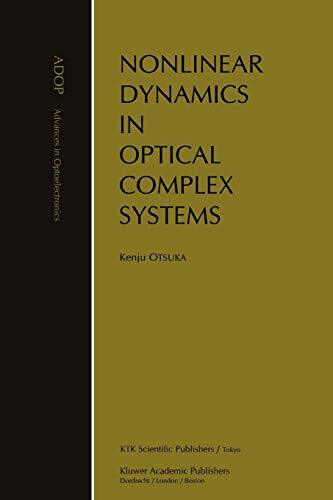 This book is prepared for graduate students majoring in optical and laser physics, but the generic nature of complex systems described in this book may stimulate researchers in the field of nonlinear dynamics covering different academic areas including applied mathematics, hydrodynamics, celestial mechanics, chemistry, biology, and economics.